Tokyo Rosenthal Announces Fall Tour Dates! Rock and Sock Records announced today that their recording artist, Tokyo Rosenthal, will begin his Fall Tour on September 24th. In a career that started with the country rock boom, Rosenthal has honed his craft and “rootsy/ Americana with a little blues thrown in” sound to perfection. His most successful release to date, “Ghosts”, reached #5 on the Euro Americana Chart and the critical acclaim and US airplay has been overwhelming. This will be Rosenthal’s first extended tour since his April and May UK tour. The tour will begin in ”Toke’s” backyard of ”The Triangle” in North Carolina and extend South before heading up to the Northeast in November. Tokyo will be joined on the tour at various times by Charlie Chamberlain(mandolin/lead guitar), Bobby Britt(fiddle) and Warren Sharp(lead guitar). In addition to live venue performances Toke will also be making radio and TV appearances. * Toke will be touring the West Coast beginning in January 2011 and playing LA for the first time since 1993. * Tokyo has begun work on a new album that is scheduled to be released in the late spring of 2011. * Toke’s last CD, “Ghosts”, is being considered for a Grammy nomination in the Contemporary Folk Album category! Below are the confirmed dates as of 9/12/10. For more updated information as dates are added log on to www.tokyorosenthal.com or www.myspace.com/tokyorosenthal. 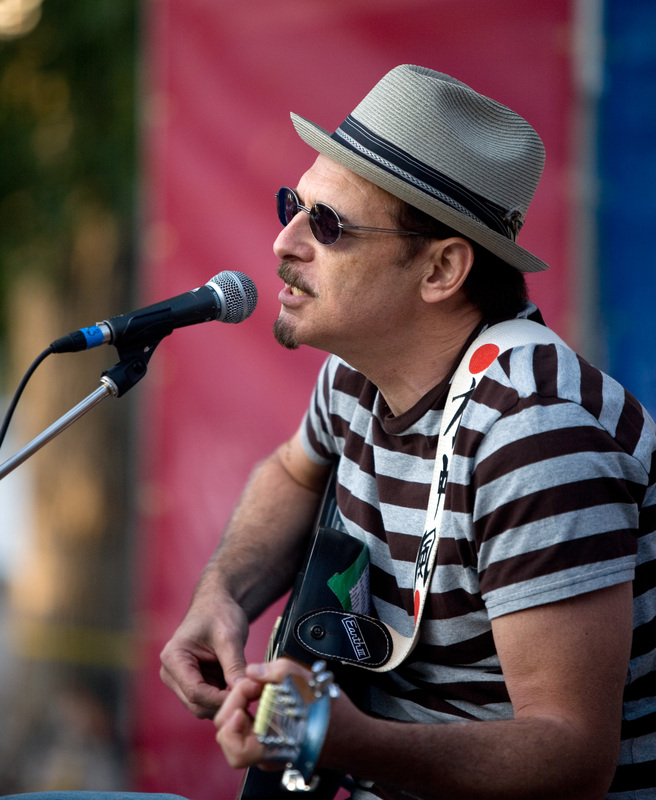 Award winning singer/songwriter Tokyo Rosenthal announced today that in light of the hard economic times the world over that he would offer free downloads of his original recording, “Mister Tell Me ‘Bout The Great Depression”. This is being done in conjunction with Rosenthal’s record label, Rock & Sock Records and is available on Rosenthal’s web site www.tokyorosenthal.com. The song also appears on Tokyo’s latest CD, “Ghosts“, which recently was #5 on The Euro Americana Chart, and has received rave reviews and airplay the world over. Critics such as No Depression said, “It’s a song for these times, for all time, and big thanks to him for writing it.” Americana UK was even more direct as they said,”Epic!, This song truly has balls”. Rosenthal felt that offering the tune at no charge was the best way to get his message across and at the same time make it affordable to all who want to have it and pass it on. “I hope people the world over take advantage of this opportunity and both like the song musically and relate to some if not all of what I’m saying,” Tokyo added. Rosenthal, along with Charlie Chamberlain on mandolin and guitar, just completed his fourth tour of the United Kingdom and his planning a 40 city US Tour beginning in late August. For more information log on to www.tokyorosenthal.com and www.myspace.com/tokyorosenthal. 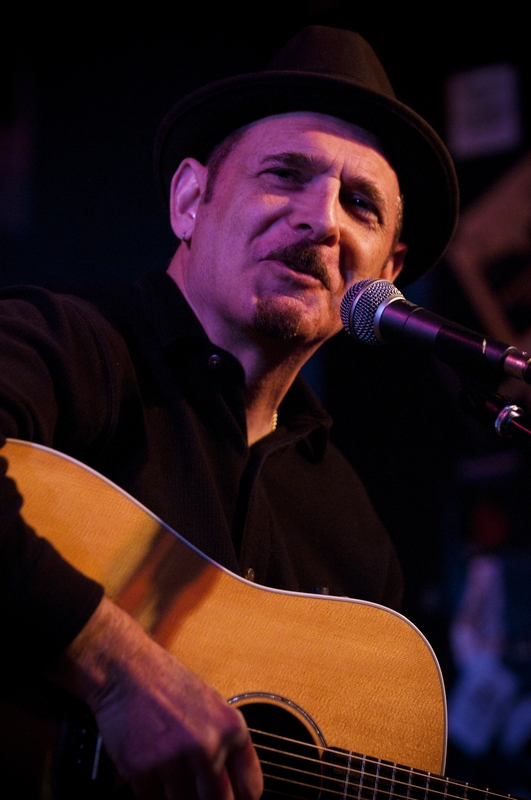 “Rosenthal can draw you into his lyrics much the same way that James Taylor and Don Henley can”. This and more is what the critics are saying about Tokyo Rosenthal. But it wasn’t an overnight trip. Hardly, as “Toke” has spanned the music scene for three decades. But it was in 2007 when recognition finally reached him through the recording of his CD, “One Score And Ten”. In a career that started with the country rock boom, Rosenthal has honed his craft and “rootsy/ Americana with a little blues thrown in” sound to perfection. His recent move to Chapel Hill, North Carolina has allowed him to team up with the famed producer and recording star Chris Stamey in the studio. While content to let the critics compare his style to others Tokyo doesn’t hesitate to point out his influences, who include The Band, The Byrds, The Indigo Girls, Gene Clark, Emmylou Harris, and believe it or not Janis Joplin. Toke’s version of “Piece Of My Heart” always sets off a crowd reaction. In 2008 Rosenthal released a new CD entitled “Love Won Out”, that featured the single “St. Patrick’s Day”, to critical acclaim. This CD broke into the charts reaching #11 on the Euro Americana Chart, #14 on the Far Chart and #10 on the North Carolina Roots chart. He completed a Northeast US tour in March and a UK tour in April of that year. In August of that year he toured Japan and debuted in The Netherlands in October. In November Toke was back in New York City followed by Woodstock and Boston and then made a “Heartland” tour from North Carolina to Texas and back, headlining along the way at the World Music United Festival in San Marcos. He began 2009 with the release of the timely and moving single, “Mister Tell Me ‘Bout The Great Depression”. Then he returned to Holland and Scotland for two weeks in February for a radio concert tour. This was followed by Germany in the spring and another tour of the UK in the fall. And of course he played all over North Carolina while recording his next album, “Ghosts”, that was released in January 2010. His most successful release to date, “Ghosts”, reached #5 on the Euro Americana Chart and the critical acclaim and US airplay was overwhelming. “Toke” then once again toured the North East U.S. with the highlight being his headlining at the world famous Bitter End in New York City. Toke then completed “UK Tour IV”. Extensive US touring is on the agenda for the balance of 2010. Always writing and always gigging, his musical journey continues.